Today, Alex Tepperman and Kyle Bridge bring you the third installment of the new podcast from Points. * Following a disorderly introduction, Kyle and Alex open with a discussion of Patrick Hilsman’s recent piece on drug decriminalization and Islamic terrorism in Vice Magazine. * They then shift their focus to the inclusion, and subsequent exclusion, of an anti-vaccination documentary at this year’s Tribeca Film Festival and the role scientific skepticism plays in our day-to-day lives. * Later, Kyle interviews Points contributing editor Aron Ackerman, whose PhD research at SUNY-Stony Brook investigates the transatlantic movement drugs in colonial Britain. * Finally, Alex tells Kyle about 1990’s Cartoon All-Stars To The Rescue and the continuing uphill battle educators and parents alike struggle with when trying to teach pre-teens about drug abuse. Enjoy! And you can let Alex and Kyle know what you think at pointscast@gmail.com. Editor’s Note: Points is delighted Elena Conis, a historian of medicine and public health at Emory University. 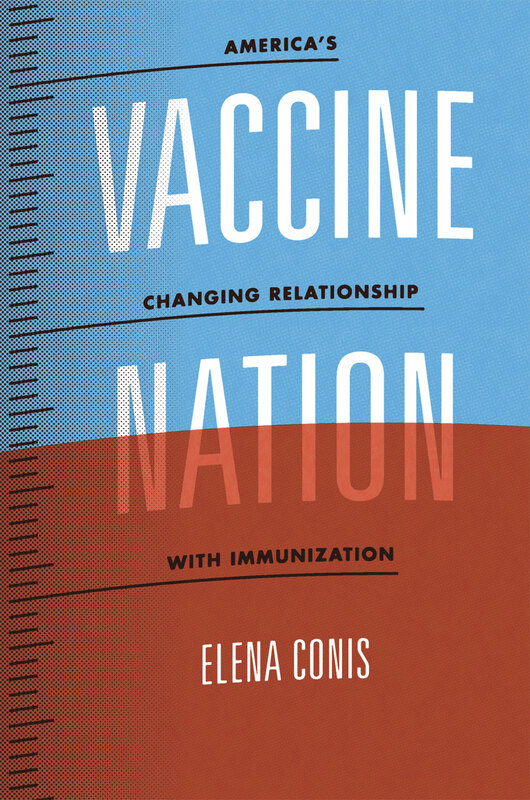 Below, Conis discusses her recent book Vaccine Nation: America’s Changing Relationship with Immunization (University of Chicago Press, 2014), which chronicles America’s changing relationship with vaccinations over the past 50 years. Describe your book in terms your bartender could understand. Vaccine Nation answers the question, how did we arrive at a moment in which vaccination is simultaneously widely accepted and intensely controversial? The answer takes about 250 pages to explain, but in short, it has to do with three key things that have happened since the 1960s. First, federal support for childhood immunization along with increased reliance on compulsory immunization helped secure the high rates of immunization we see today. At the same time, the social movements of the last half century—the feminist, environmental, and consumer rights movements in particular—gave the public the rhetoric and the reasons for questioning required immunizations. Lastly, the development of new vaccines transformed how we understood their target infections and the risks they posed to society. Sometimes this phenomenon bolstered vaccination acceptance, but at other times it worked against it; more on that below. What do you think a bunch of alcohol and drug historians might find particularly interesting about your book? Here’s one thing: Vaccines have often been thought of as a category apart from other drugs, as public health apparatus more than pharmaceutical. As such, they’ve often been exempt from certain kinds of scholarly scrutiny. They’re the “good” pharmaceuticals, the heroes of public health, responsible for some of the greatest accomplishments achieved in the history of medicine. But just like other pharmaceuticals, vaccines reframe the diseases they prevent. Once a vaccine comes on the market, we never see its target infection the same way again. The introduction of a new vaccine triggers a process of transformation: the vaccine shines a light on its target, and all of us—scientists and marketers and consumers alike—look more closely at the disease, focus more intently on its complications and sequelae (no matter how rare), and ultimately turn the infection into one known for those very complications and for the urgency of its prevention. Now that the hard part is over, what is the thing YOU find most interesting about your book? There are a couple of ideas in my book that get a little lost in the larger history I tell, and I now think they deserve much more attention. In our contemporary cultural conversation about vaccination, we invoke again and again the character of the irresponsible, irrational, selfish, and villainous “anti-vaxxer.” I believe the trope of the “anti-vaxxer” has become so popular in media coverage of the vaccination issue in recent years for two reasons: because it resonates with cultural conversations about women, and because it distracts from uncomfortable conversations we aren’t having about class and privilege. Take a close look (or even a cursory glance) at media coverage of the recent measles outbreak, or of the “anti-vaxx” phenomenon generally, and you’ll see that the “anti-vaxxer” is typically portrayed as female, white, well-educated, well-off, and often either a stay-at-home mother or a mother devoted to the extreme coddling of her own child. This doesn’t always square with statistics—there are many reasons children go unvaccinated or undervaccinated—but it does serve a function in the larger debate we’ve been having about women “having it all.” These vaccine-refusers are women who, often, have opted out of workplaces outside the home, either wholly or partly, and as such they are an affront to an economic system that is held up, in some part, by dual income households in which all children are vaccinated (and in school). They’re also, I believe, perceived as an affront to the assumed responsibility of the modern, well-educated woman to her gender, and to society, and thus find themselves demonized for their “selfish” choice to devote themselves so thoroughly to their children’s care that they choose to elevate vaccine risks to their individual children above risks to society as a whole. In addition, our contemporary obsession with villainizing anti-vaxxers is treated with disproportional outrage compared with other ways in which the middle- and upper-middle class political left has opted out of many public goods—public school, public transportation, the military, and more. We live in a society increasingly segregated along class lines, and in such a society, the quality and consistency of public goods suffers. 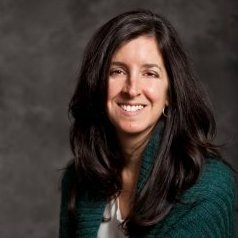 Opting out of vaccination requirements is, on some level, comparable to opting out of public schools in certain neighborhoods or public transportation systems—because the latter acts lead to disinvestment in certain communities that leave the children who remain at a severe disadvantage, even endangered. But we treat vaccination evasion as an act apart, as the only opt-out behavior that is ethically impermissible. It’s not. I believe, however, that we unconsciously draw attention to it as a way of drawing attention away from the greater crisis of liberalism in this country, which is that the ideal of quality public goods for all is increasingly a myth as our income gap widens and opportunities for social mobility diminish. I’ve also come to see today’s anti-vaxxer as a straw man (or, more precisely, a straw woman), set up and knocked down in order for the left to distance itself from its own supposedly “anti-science” fringe – but this answer has already gone on too long, so maybe I’ll leave this point for another post. Every research project leaves some stones unturned. What stone are you most curious to see turned over soon? There are so many stones, so little time, and I’m excited for the next generation of historians to pick up the topic and turn some of those stones over. Here are just a few: There is not nearly enough historical scholarship on issues of race and vaccination in modern times, and there’s much to be written; for instance, about how civil rights discourse intersected with the expansion of vaccination as a public good in the 1950s and later, or about vaccination promotion across racial and ethnic groups. I know of some scholarship in progress on the subject of the rise of the cost-effectiveness justification of vaccination, and I’m eager to see that important work emerge. There are histories of specific childhood vaccines, the ones I think of as the “quiet” vaccines, like Hib and rotavirus, that deserve serious attention. I also hope someone tackles the topic of flu vaccine mandates in gendered work spaces—and the fascinating long history of flu vaccination generally. When I was at the end of my research, I learned that the papers of Merck vaccine developer Maurice Hilleman were at the American Philosophical Society, albeit not yet open to researchers. I believe those papers may hold important clues to the story of how our contemporary era of vaccination took shape. I don’t plan to dig into them myself, but if someone reading this decides to do so, let me know. I’m deeply curious about what’s in there. BONUS QUESTION: In an audio version of this book, who should provide the narration? Oh man. I’m not an auditory learner, so I don’t really get audio books. But maybe… Jenny McCarthy?